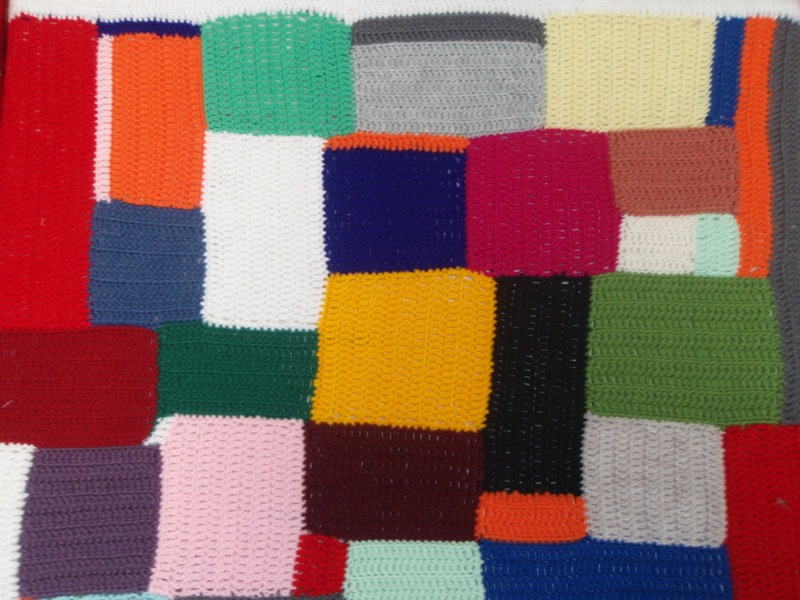 In 'Implementing Imprecision' I exhibited 3 works - another re-configured version of the crocheted cubes, a painting that developed from my previous 'Square' paintings, and another crocheted wall work. 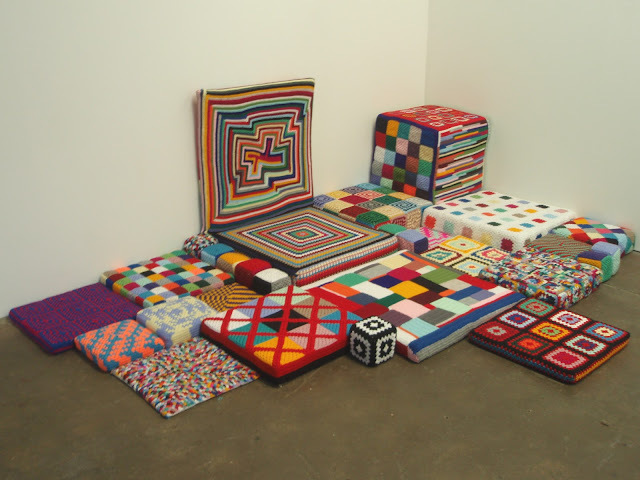 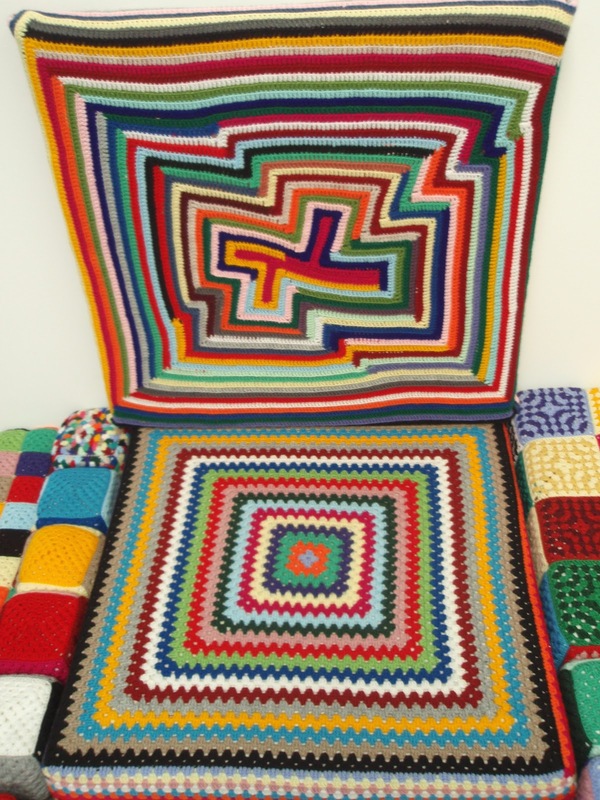 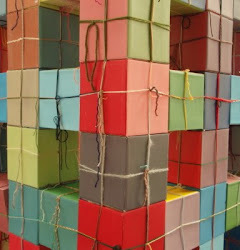 The crocheted cubes had been continuously added to with each showing, this time the work was on the floor and started going up the walls. 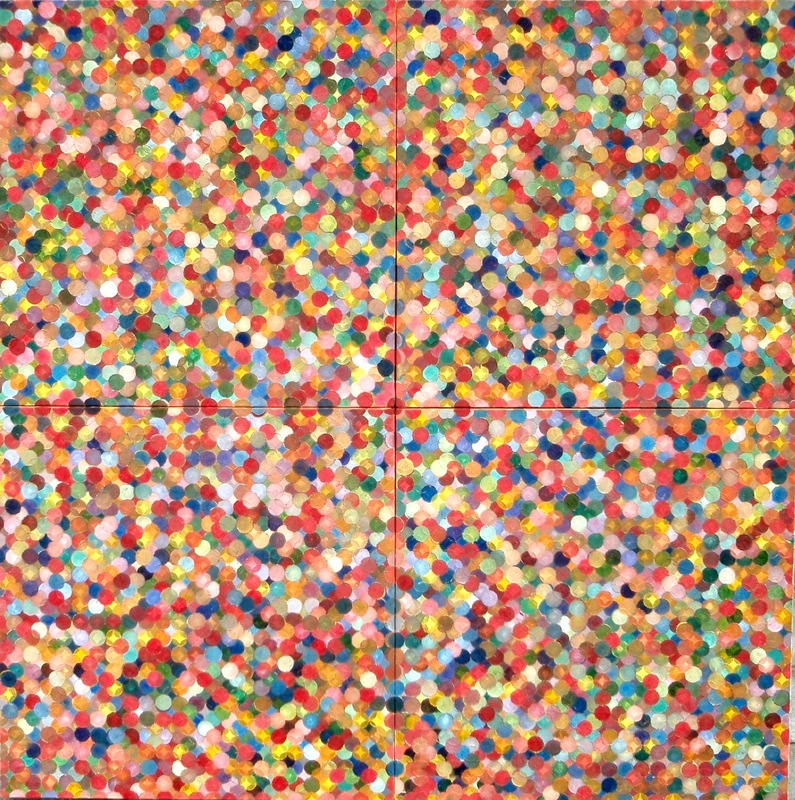 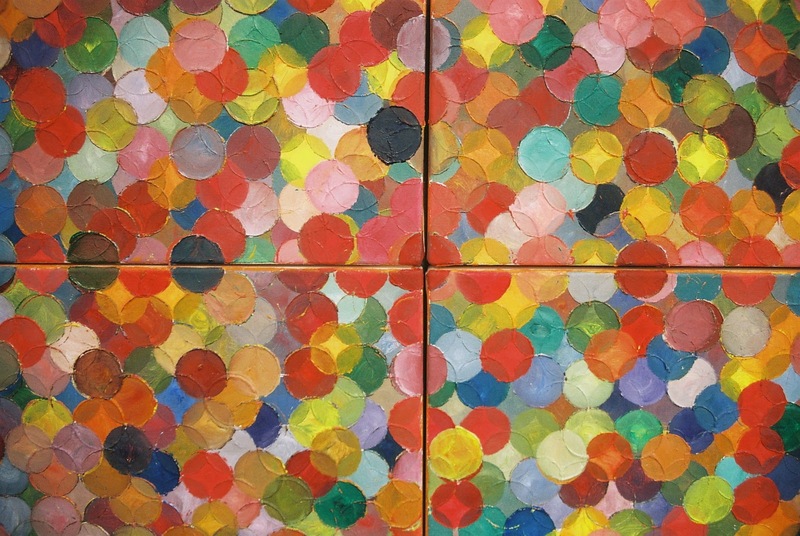 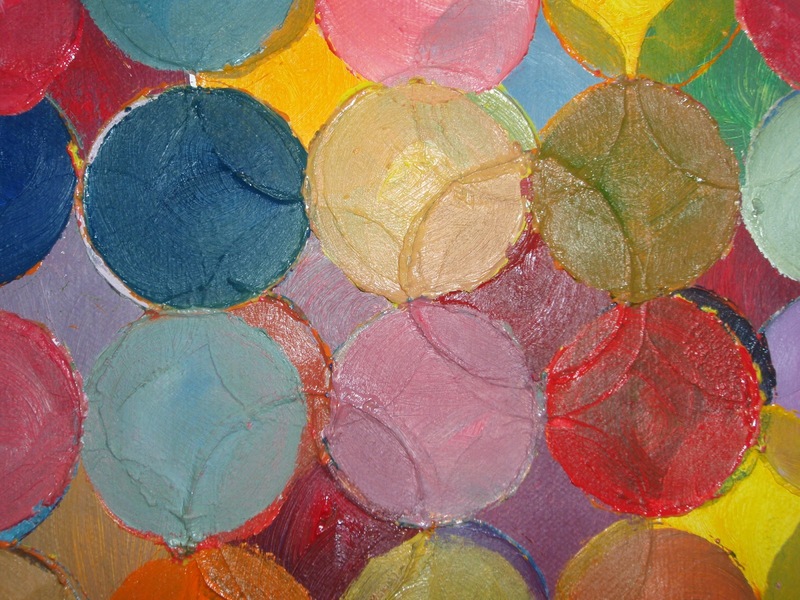 The painting was a circle version of the square paintings that I had been producing. 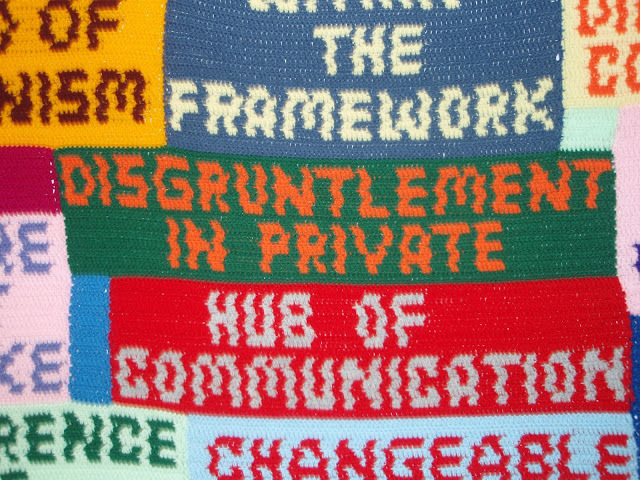 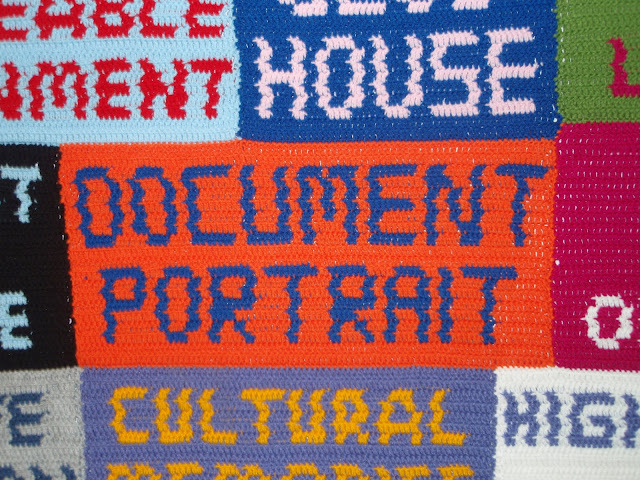 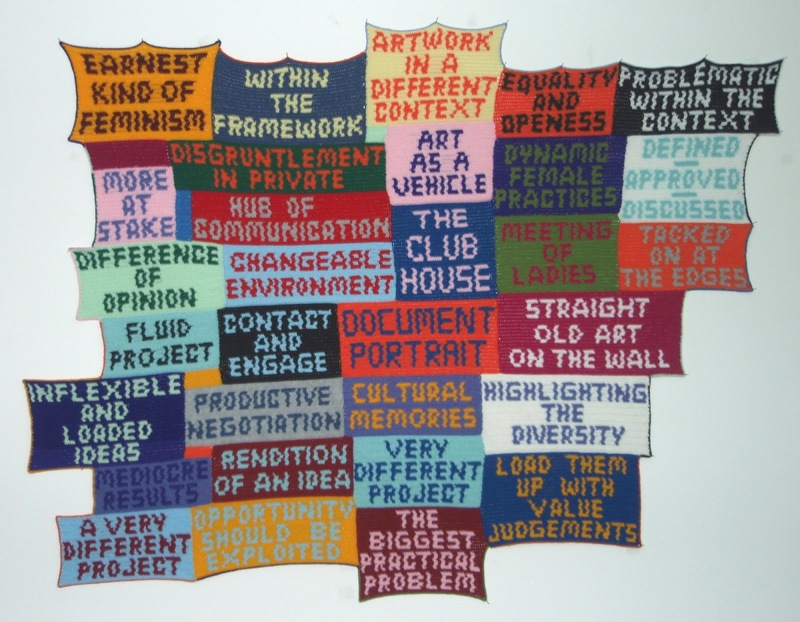 The crocheted wall work was an accumulation of text. 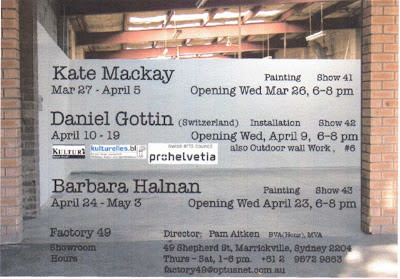 I had been involved in (email) discussions of an exhibition that never eventuated. 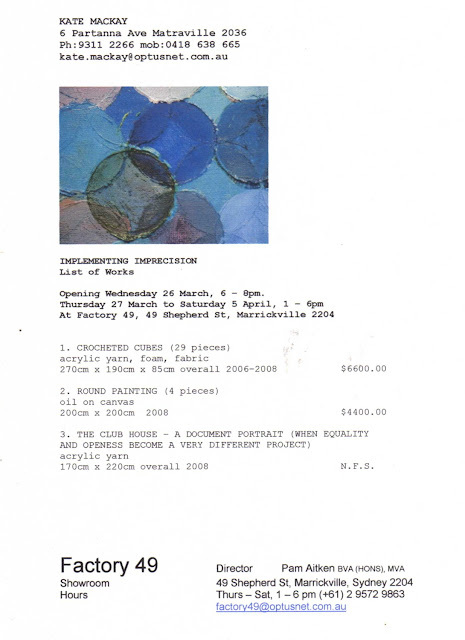 The project had started positively, but had deteriorated when nobody could decide how the show should be organised - I collected all the emails and chose my favourite quotes that illustrated the collapse of the project - the title of the work also came from the text within the emails.